PPU is back! After a "break" of sorts for the PPU team in the month of July, it's back for August with the theme Musicals! I love, love, love musicals, I am slightly obsessed with Les Mis. 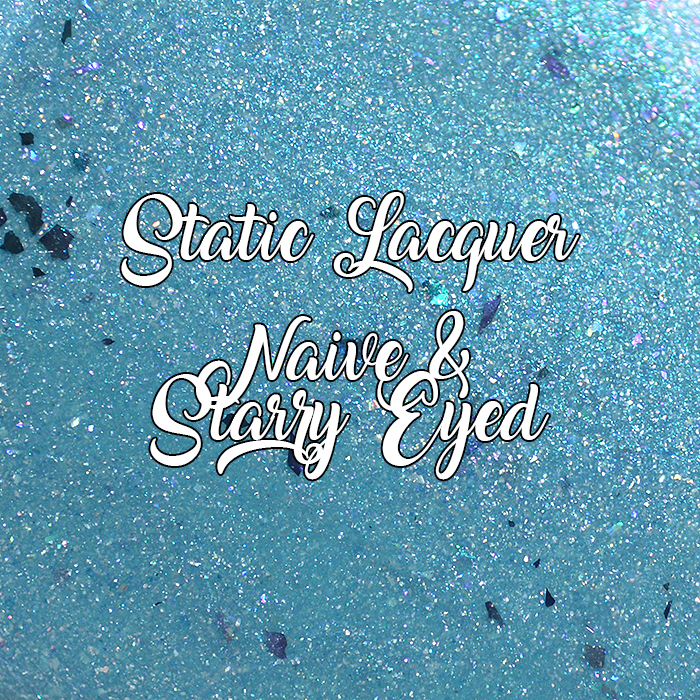 Static Lacquer took inspiration from a Forgive Durden album called Razia's Shadow A Musical. 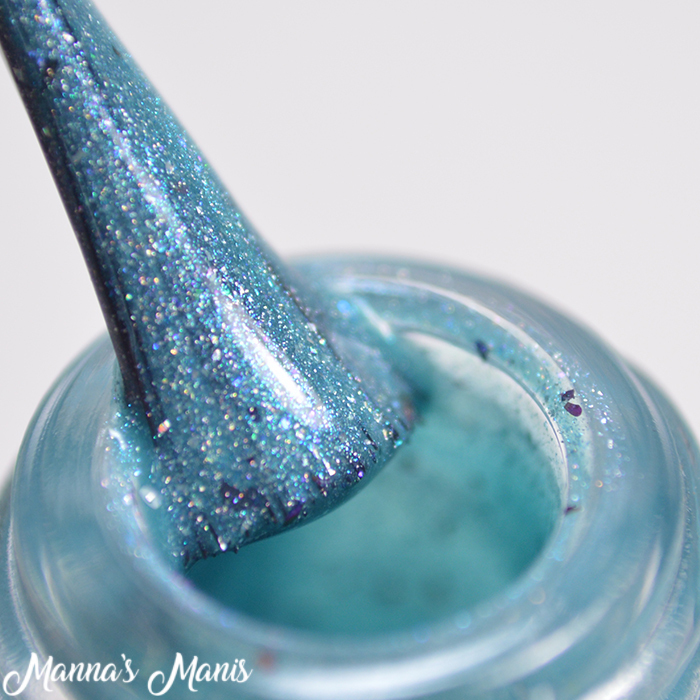 Naive & Starry Eyed is a lyric in Razia's Shadown and is what inspired the color of the polish which is a bright teal base with a blue to green shift, ucc flakies and holo flakies. Formula and application are perfect! 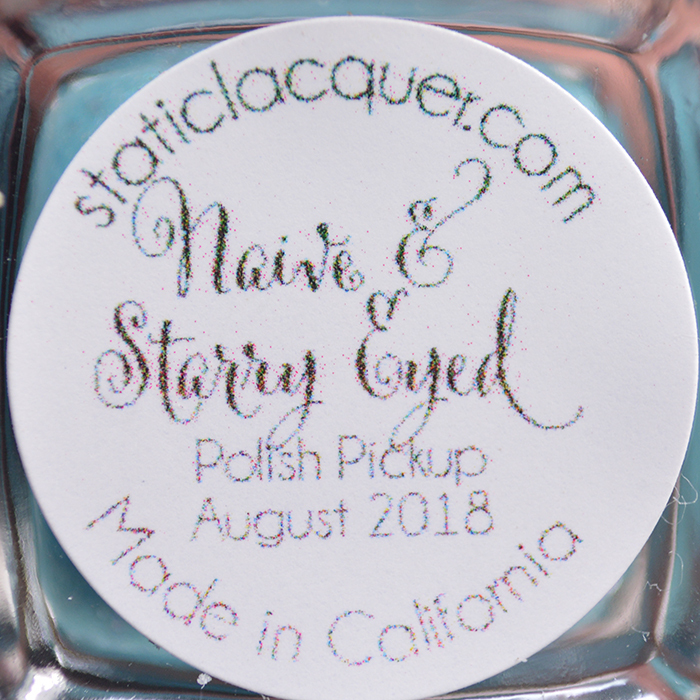 My swatches below show 2 coats topped with Static Lacquer's glossy top coat. There will be a cap of 150 bottles and is priced at $13.